The holidays are a time for family, friends and celebration. Unfortunately, it’s also when people sometimes drink too much, with consequences ranging from fights and falls to serious traffic accidents. People often put themselves at risk because they believe myths about alcohol use ─ common but incorrect beliefs. Let’s look at some of the most common alcohol myths, and then we’ll tell you how to safely enjoy a few drinks during the holidays. I’m in control. At first, alcohol acts as a stimulant, and you may feel happier and confident. But at this stage, alcohol has already reduced your inhibitions and impaired your judgment. As you drink more, you are likely to underestimate alcohol’s effects, making you feel “bullet proof” while seriously eroding your ability to think clearly and control your behavior. It’s okay, I’m just drinking beer. One 12-ounce beer, a 5-ounce glass of wine, and a 1.5-ounce shot of hard liquor have the same amount of alcohol. It’s not what you drink, it’s how much you drink that matters. I can still drive. You may think you are safe to drive as long as you’re not slurring your words or acting erratically. However, the coordination needed for driving is compromised long before the signs of intoxication are visible. Plus, the sedative effects of alcohol increase your risk of nodding off or losing attention behind the wheel. I stopped drinking, so I’m fine. It’s easy to misjudge how long alcohol’s effects last. After you stop drinking, alcohol in your stomach and intestine continues to enter your bloodstream, impairing your judgment and coordination. Your liver can only process about one standard drink every hour, so the effects of drinking can drag on for hours. I can sober up quickly if I need to. It’s widely believed that coffee, a cold shower or fresh air will get you sober. It’s also wrong. These things may help with drowsiness, but not with the effects of alcohol on decision-making or coordination. There are no quick cures; only time will help. I ate a big meal, so I won’t get as drunk. Eating before drinking can slow the absorption of alcohol by the body, but it can’t prevent you from getting drunk. Eventually, the stomach will empty from dinner and alcohol absorption will pick up again. 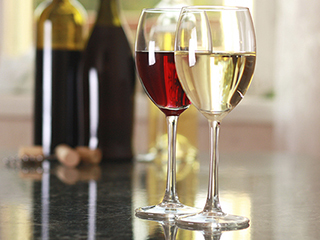 Whether you’re attending or hosting a holiday party, here are ways to consume alcohol safely. Pace yourself. A standard drink is one 12-ounce beer, a 5-ounce glass of wine, or a 1.5-ounce shot of hard liquor, and you should have no more than one per hour. And no more than four drinks per day for men or three for women. Slow down. Sip your drink. Space your drinks. Make every other one nonalcoholic, such as water. Eat food before and while you drink to slow down your absorption of alcohol. Make plans to get home safely. Remember that a designated driver is someone who hasn’t had any alcohol, not simply the person in your group who drank the least. Offer a selection of non-alcoholic beverages and plenty of food. Stop serving alcohol at least one hour before the party ends. Don’t serve alcohol to an intoxicated guest. Don’t let anyone who is drunk drive home. 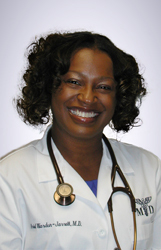 Dr. Ariel Warden-Jarrett is an MPCP partner and is certified by the American Board of Family Medicine. She practices in the Bowie office. Rethinking Drinking: What’s the Healthy Choice?